Meet Pak Shafie, the legendary kite maker of Malaysia, as he guides you through this forgotten tradition. Learn how to make your own Wau Bulan before sending it to soar majestically in the sky. Wau Bulan is the name given to Malaysian Moon Kite (the word "bulan" meaning moon in Malay) and is unique to the state of Kelantan. Along with the keris and the hibiscus, wau bulan is considered as an iconic symbol of the Malaysia's culture and traditions. 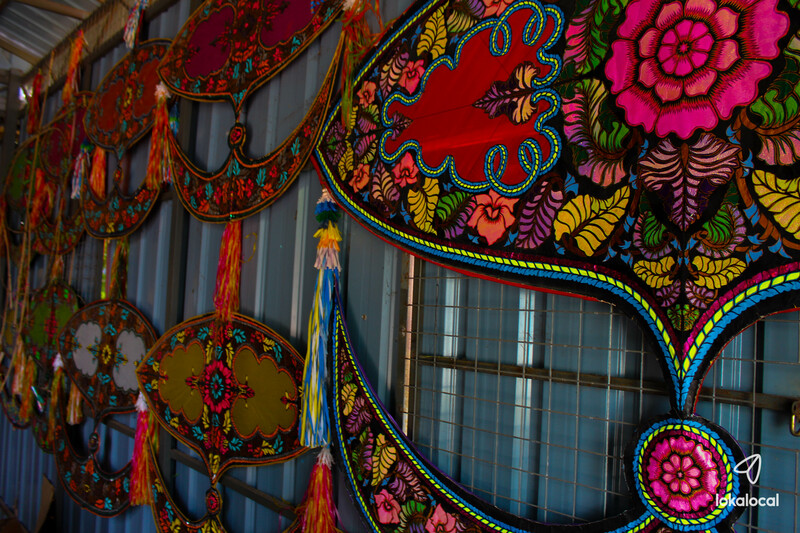 Larger than other traditional kites, the wau bulan is richly decorated with floral motifs and bold colors. Pak Shafie is one of the last wau bulan makers remaining in Malaysia, having been in the trade for more than 50 years. To him, each wau is not only a unique work of art but also a reflection of the maker's heart that can show his subtle mastery over the craft. Join this once-in-a-lifetime experience found nowhere else but in Malaysia, and discover up close the ins and out of making a wau bulan with a master of the craft. In this workshop, Pak Shafie will share his time-tested expertise on this endangered art — from the history of the kites to the carving of the frame as well as the process of making the colorful motifs. Then it is time to let the wau take flight and soar majestically in the sky! Pak Shafie will share the tales and history behind the different kinds of wau, especially the famous Wau Bulan. The skeletal frame of the kite will be prepared by Pak Shafie, as it involves years of technical skill to complete the complicated process. You will help to make the wau by sticking cut-out motifs onto these frames. Learn how to fly your own kite! Fly a wau with Pak Shafie, with tips and tricks from the master himself!